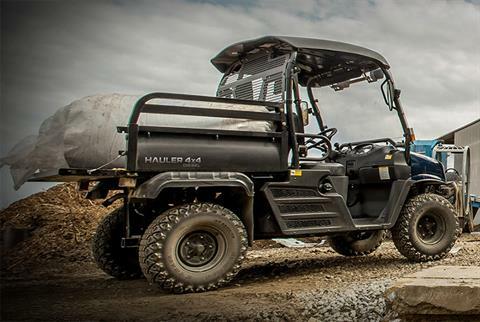 With a 22-hp diesel engine and user-selectable 4WD, the Hauler® 4X4 Diesel is built to knock out your toughest tasks. This is what an unrelenting work ethic looks like. By combining a 22-hp diesel engine with a 1,600-lb total load capacity, the Hauler 4X4 Diesel gives you the strength to take on any job. Four-wheel independent suspension, user-selectable 4WD and all-terrain tires ensure it's ready for whatever task lies ahead. 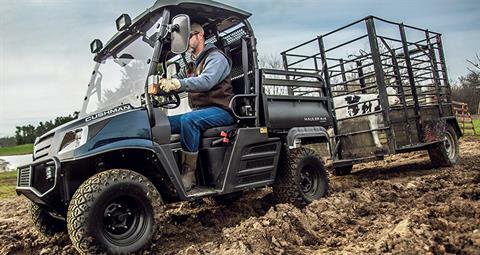 22-HP, 1,007 CC DIESEL ENGINE: Plenty of hard-working diesel power. 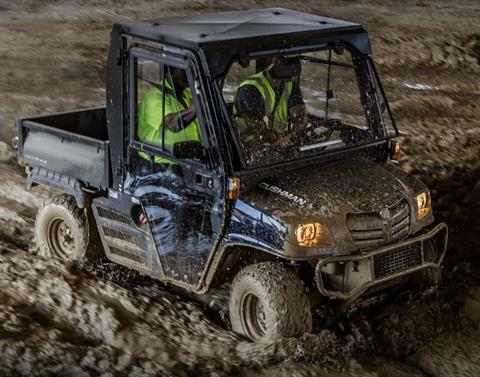 USER-SELECTABLE 4WD: Extra grip when you need it. 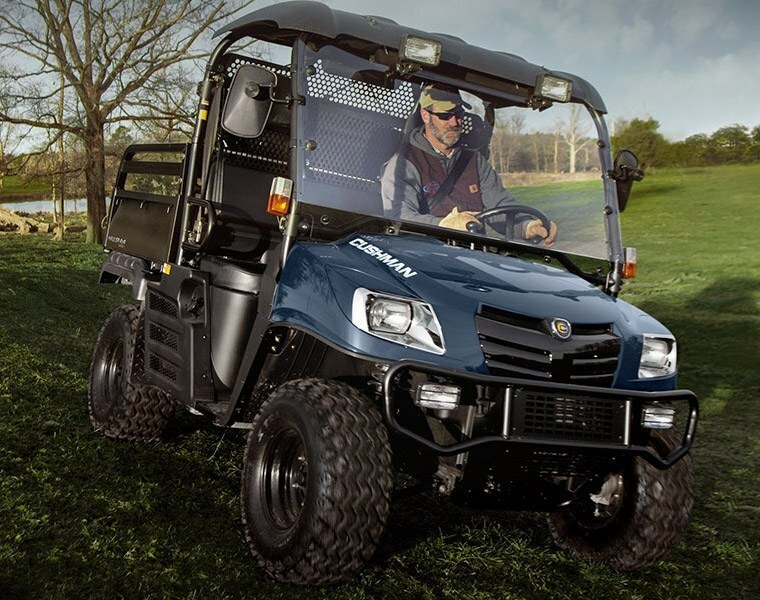 4-WHEEL INDEPENDENT SUSPENSION: Better control and a smoother ride. FRONT BRUSH GUARD: An extra line of defense. ALL-TERRAIN TIRES: Easily navigate all kinds of terrain. 3-POINT SEATBELT: Added safety for your crew. BODY AND FINISH: Injection Molded Body. ELECTRICAL SYSTEM: Starter / Alternator. 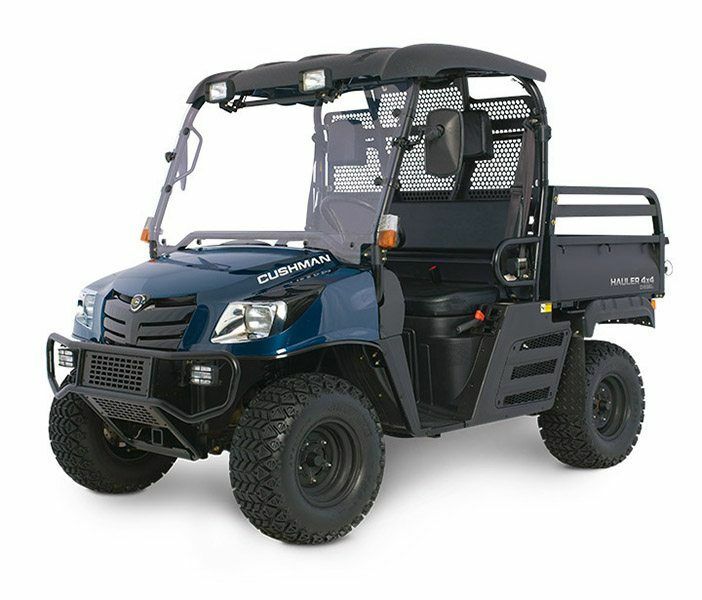 All-Terrain 25 x 10 - 12 in.